Irish single malt whiskey producer Waterford Distillery has appointed Grace O’Reilly as its ‘terroir agronomist’, a position which will involve increasing the company’s understanding of the differences in flavour in distillates produced from barley grown in different areas. 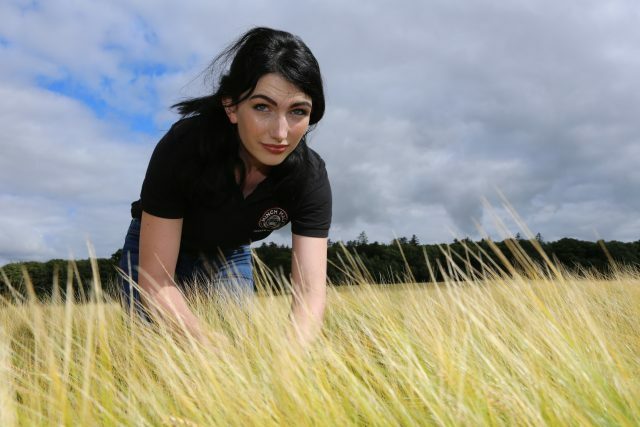 As part of her role, O’Reilly will help to oversee and manage the distillery’s relationships with its barley growers. In addition, she will continue the company’s research into flavour differences observed in whiskies produced from barley grown in different regions, using data obtained from 71 different farms. O’Reilly began her career at Minch Malt (part of Boortmalt maltsters) before joining agricultural specialists Glanbia. Waterford Distillery CEO Mark Reynier commented: “Terroir, provenance and traceability may be trendy buzzwords frequently bandied about by marketing men, but to us they actually mean something. “Heretical as it may seem, we can show that a whisky’s flavour can indeed be influenced by where its barley is grown. O’Reilly added: “From the beginning I really enjoyed collaborating with the team at Waterford Distillery and I’m thrilled to be joining at this exciting stage. “Growers are the gatekeepers of terroir and through the spirit we can see how all these factors can influence flavour”. The distillery referred to the move to appoint a terroir agronomist as “highly unusual” and “indicative of the importance attributable to the extensive barley provisioning policy and the consequent understanding of terroir”.